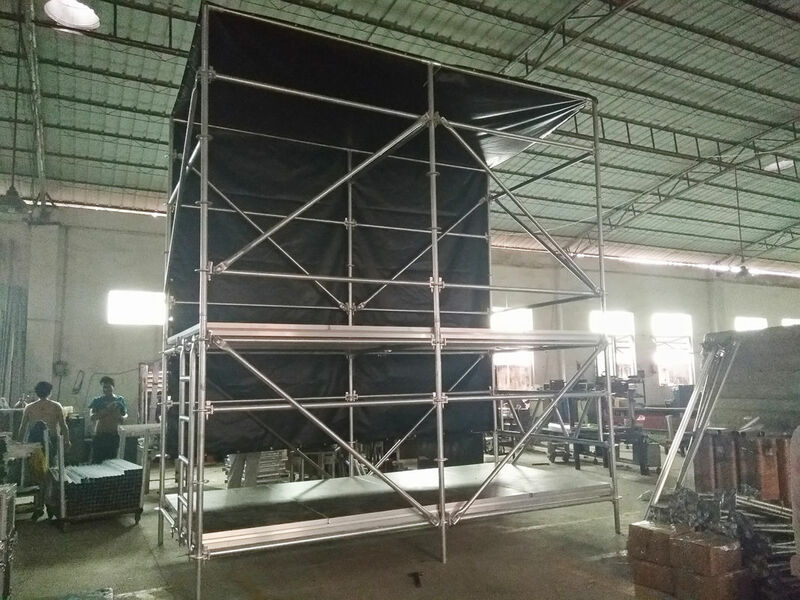 Speaker line array layer Truss, also known as Line Array Speaker Truss, Background Planes, can be used for hanging the speaker, LED screen, Advertisement Picture, etc. Suitable for any outdoor performances, Trade Fair Construction, Advertisement, etc. 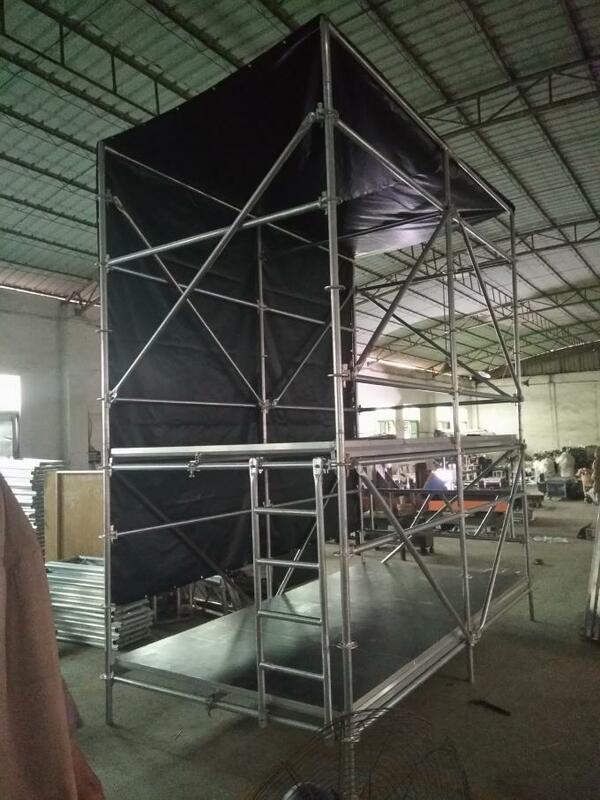 Lenght 2m* Width2m,the layer truss height can be customized.The customized height range:4m,6m,8m,10m,12m. 1. Easy to set up and assemble. 2. Layer truss consist of Pillar, horizon pipe,diagonal pipe, joint pipe and adjustable basement. Its heavy loading and stable. 3. Heavy loading capacity and stable . 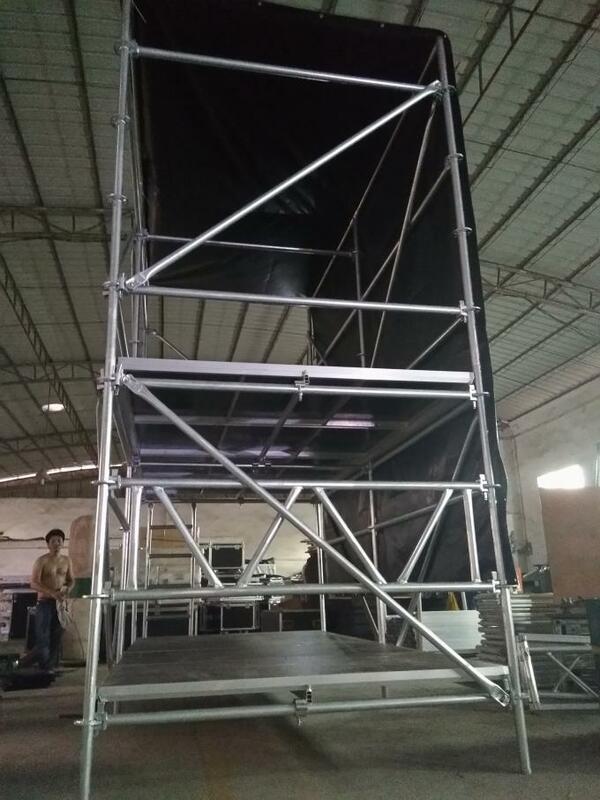 4.Layer truss is mainly used for lifting the Line Array Speaker. 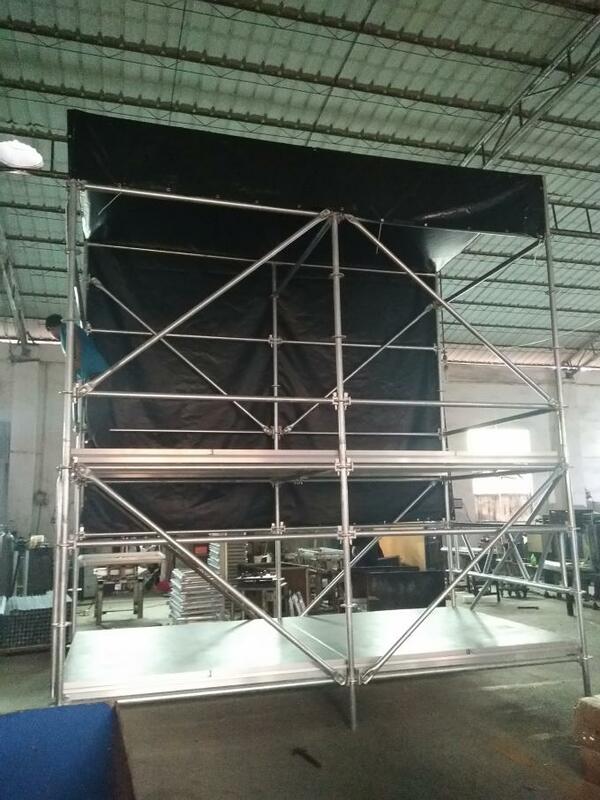 Also lifting LED screen, Advertisement Picture. Widely used in different outdoor shows and events.